Rooms feature all necessary equipment for good rest. In the rooms there are convenient desk and free Wi-Fi for the guests who combine work and rest. Depending on your preferences we can offer you one double either two single beds. 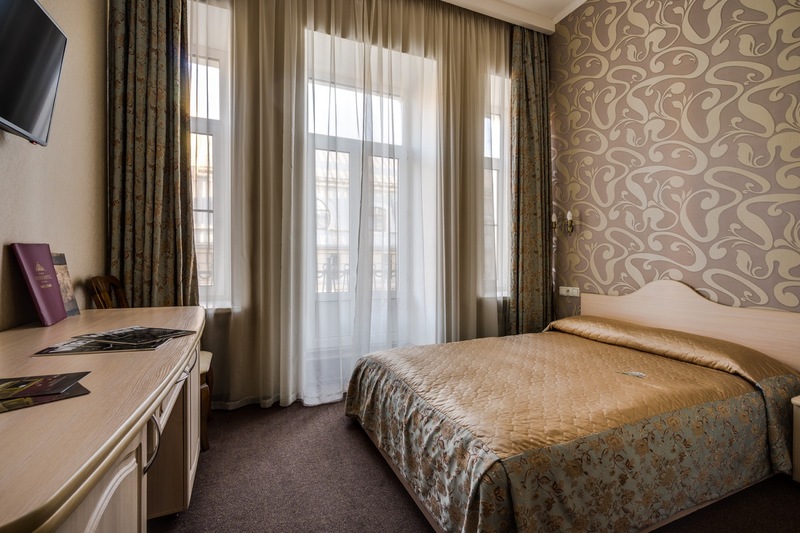 In the hotel there are 26 rooms of this category, having an area of 16-18 square meters. Breakfast (buffet service) served in the hotel restaurant and Wi-Fi are included into the price of the room. Parking is free.